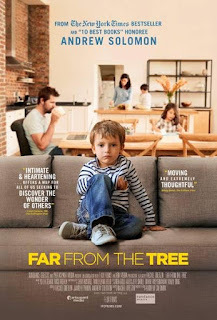 Home » Past Screenings » FAR FROM THE TREE Advance Screening Passes! FAR FROM THE TREE Advance Screening Passes! Do you want to see FAR FROM THE TREE before anyone else? Learn how you can see an Advance Screening to see it before anyone else. FAR FROM THE TREE follows families meeting extraordinary challenges through love, empathy and understanding. This life-affirming documentary encourages us to cherish loved ones for all they are, not who they might have been. Based on Andrew Solomon’s award-winning, critically acclaimed, New York Times bestselling non-fiction book Far From the Tree: Parents, Children and the Search for Identity. FAR FROM THE TREE is in theaters on August 17th, 2018. Include 'Mind on Movies' in how you heard about the screening.